Situated in Greenford in the Greater London Region, this holiday home is 13 km from London. The unit is 21 km from Windsor. Free WiFi is available throughout the property. Towels and bed linen are featured at House Lammas Park Road - Ealing. 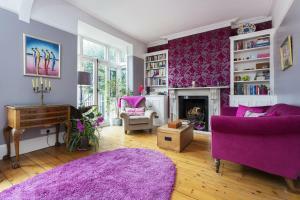 See all House Lammas Park Road - Ealing reviews..